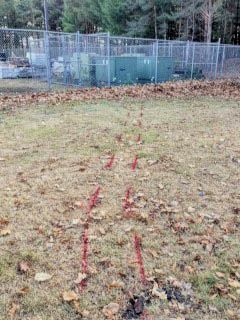 A large national general contractor that was working to update several electrical substations needed to excavate (at least to a minimal depth) throughout a significant length of their project area so that several new electrical lines could be installed. Due to the fact that Ground Penetrating Radar Systems, LLC. had completed several other projects for this contractor in the past, the contractor knew that GPRS would be able to provide them with timely, and accurate utility line location and depth information. Therefore, prior to getting started with their project, the contractor decided to give GPRS of Upstate, New York a call. 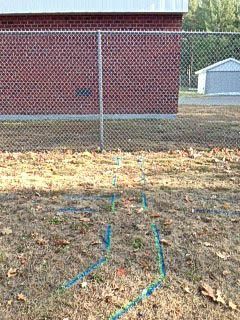 In addition to finding underground utilities and storage tanks, Ground Penetrating Radar Systems has the ability to locate and map out rebar, post-tension, and conduit prior to saw cutting and trenching, and in some cases unmarked graves. If you have need of any underground imaging services, please contact our Upstate New York office, which serves the Buffalo, Rochester, Syracuse, Corning/Elmira, Binghamton, and Albany areas, as well as all of the areas in between. If you are interested in obtaining more information or a quote, please contact Project Manager, Jim Bell at (315)715-5137 or jim.bell@gprsinc.com.